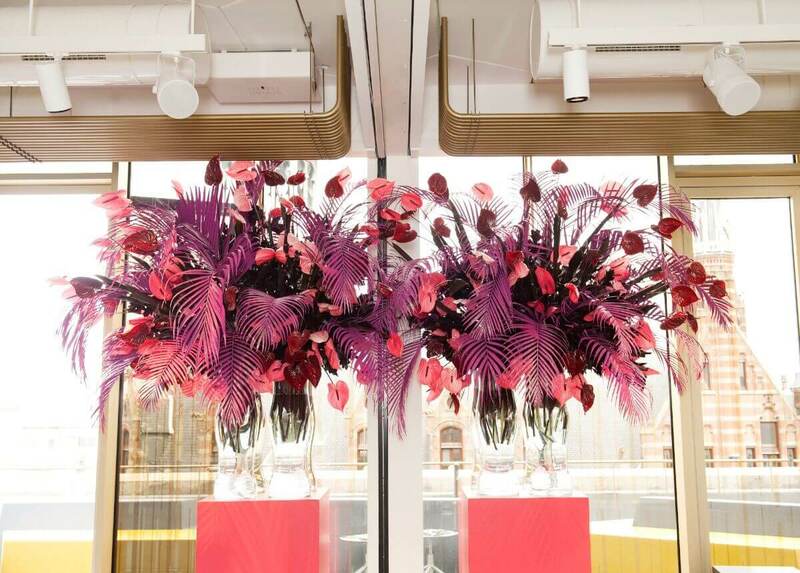 W Hotels Worldwide, part of Starwood Hotels & Resorts Worldwide, debuted in the Netherlands with the highly anticipated opening of W Amsterdam. 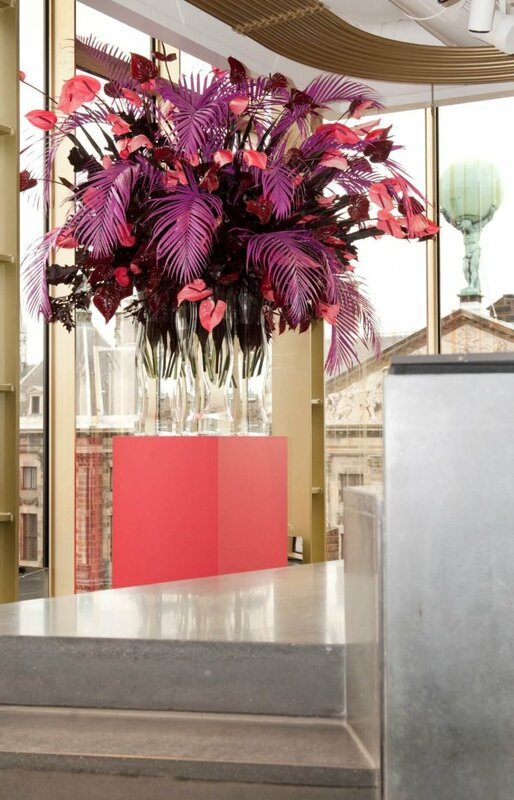 Owned by Europe Hotels | Private Collection, the hotel brings the W brand’s distinctive New York energy, Whatever/Whenever® service mentality and upbeat programming to the Dutch capital. 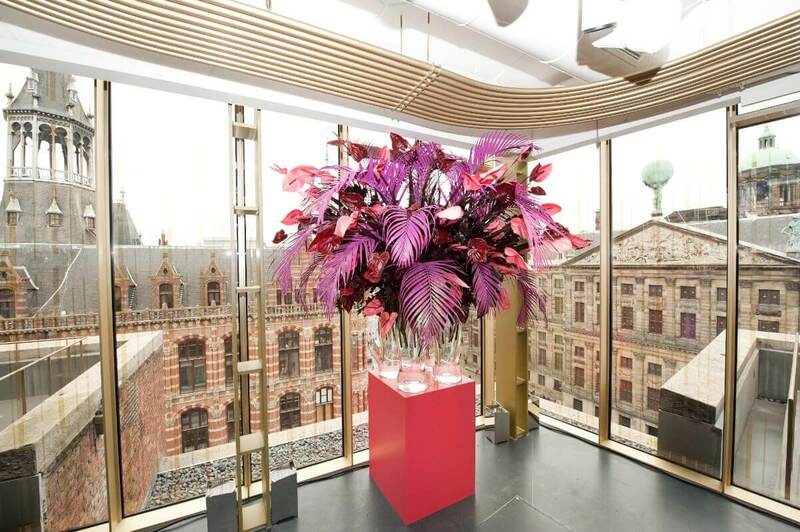 Just steps away from the vibrant Dam Square and the Royal Palace, the hotel introduces WET DECK®, the city’s first rooftop pool, and electrifying culinary venues, such as THE DUCHESS and MR PORTER. 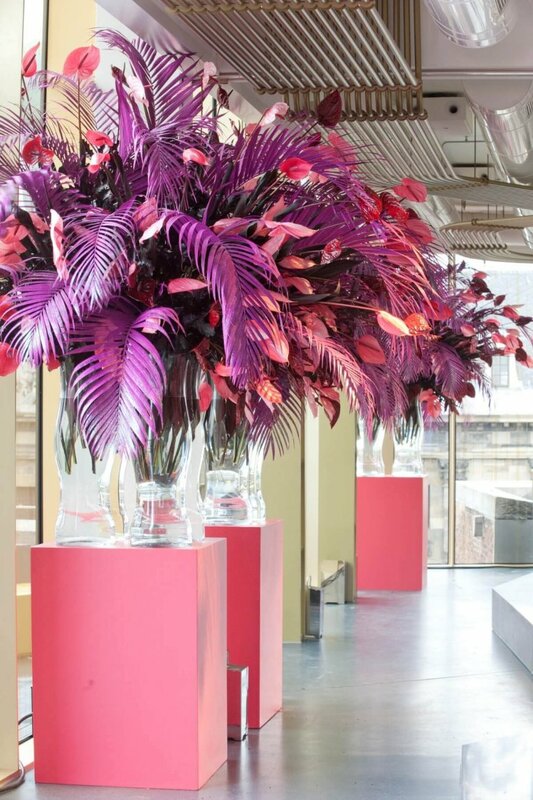 The opening was celebrated at the rooftop W Lounge, the W brand’s re-interpretation of the traditional hotel lobby, on the sixth floor of the Exchange building. 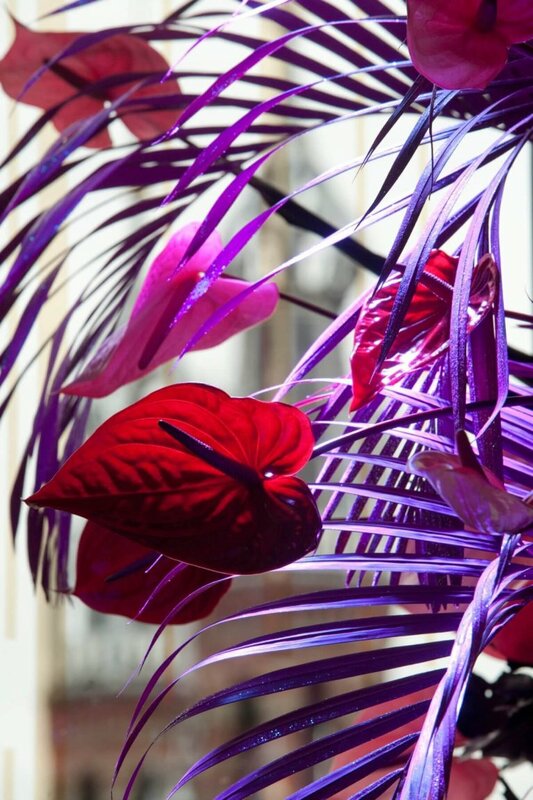 With four outdoor terraces and floor-to-ceiling windows, guests can enjoy spectacular 360-degree views over canal houses and heritage sites. 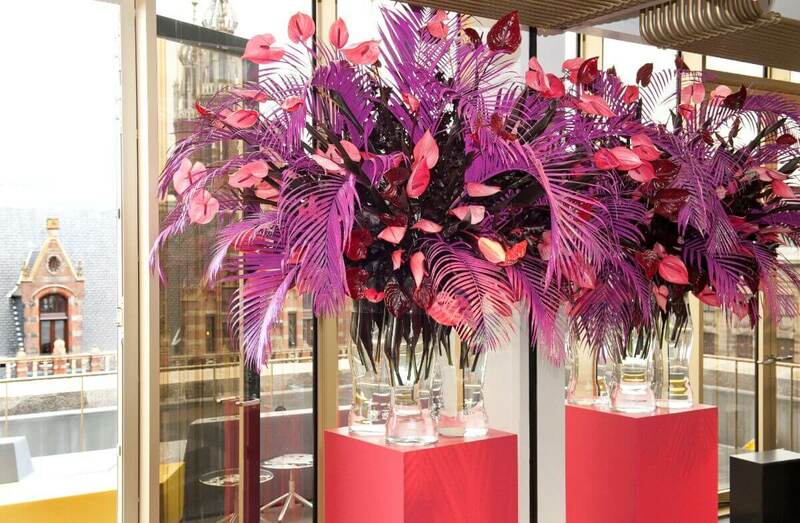 Many Dutch and international celebrities attended the opening night, where they were surrounded by golden balloons and several large floral statement pieces by stylists The Wunderkammer from Amsterdam. 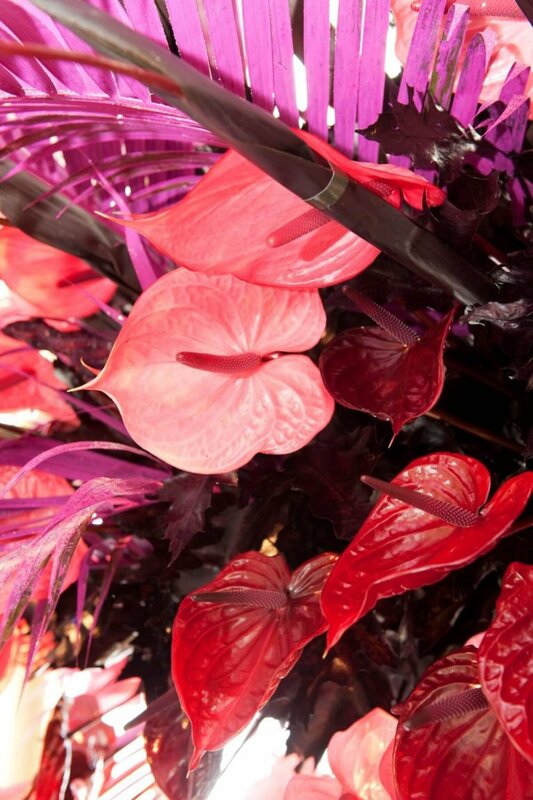 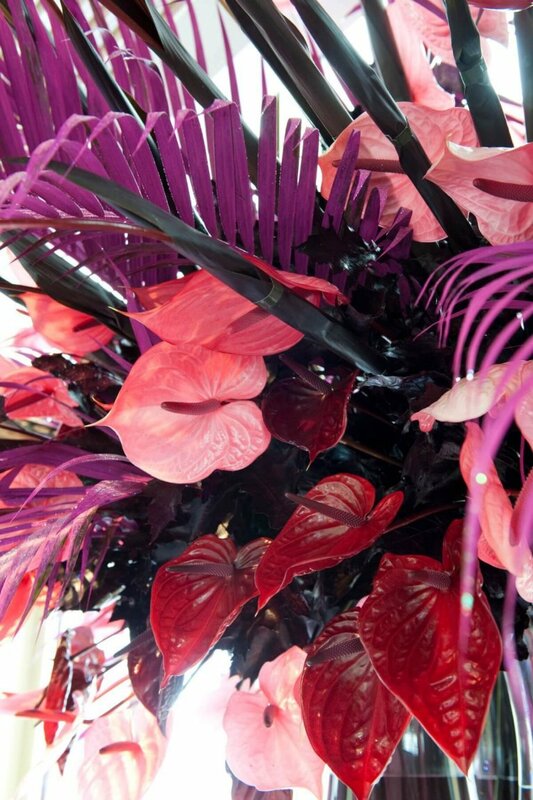 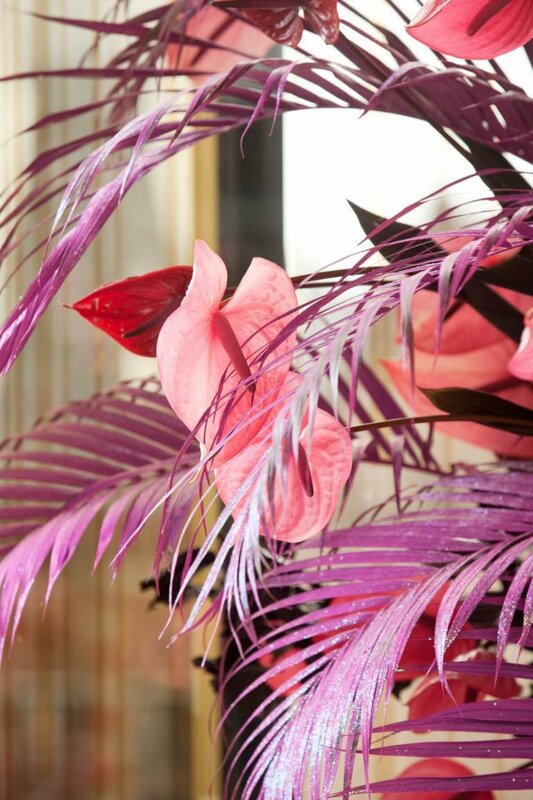 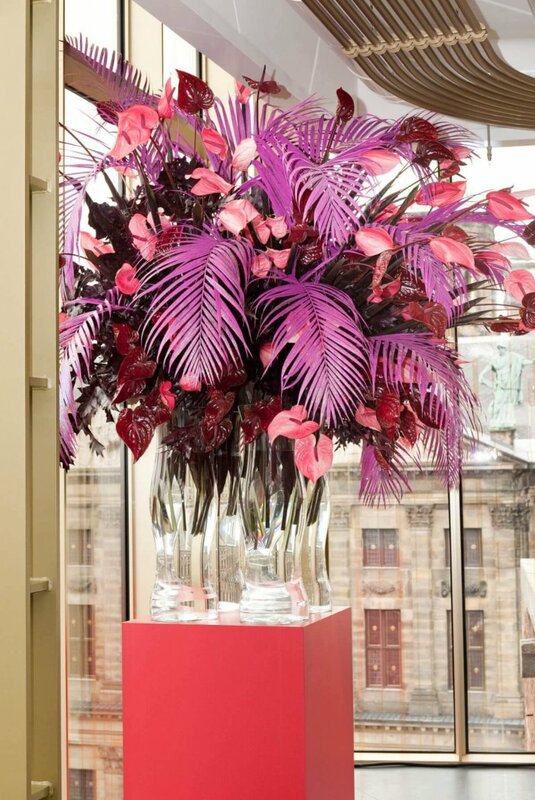 Anthuriums in shades of red, pink and plum were combined with foliage covered with glitter to match the W Amsterdam colour scheme of pink & gold.